LG has announced that it will be showing off its first ever Nano IPS technology monitors at CES 2018 in January. The new range consists of three models offering 32- and 34-inch diagonals, with one of them aimed squarely at the gaming crowd. In its explanation of Nano IPS technology, LG says its benefits stem from the application of nanometre-sized particles to the screen’s LED to absorb excess light wavelengths. This results in greatly enhanced intensity and purity of on-screen colours for a more accurate and life-like viewing experience, says the firm. This UHD 4K 32-inch monitor can display 98 percent of the DCI-P3 colour spectrum, which LG says is “comparable to monitors used to master Hollywood blockbusters”. Prosumers will appreciate the HDR 600 certified display, the Thunderbolt 3 docking functionality (with daisy chaining and up to 60W power delivery), the signature Edge-ArcLine Stand, and 4-Side Edge Borderless Design. 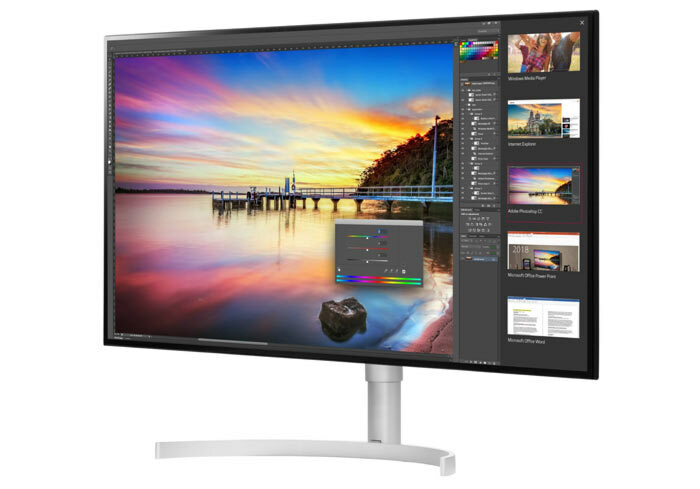 With 34-inches and UHD 5K visuals in an ultra-wide format (5120 x 2160 pixels), many might prefer this monitor for its multi-tasking friendliness. Again HDR600 is supported and the colour gamut and accuracy is good for prosumer work. 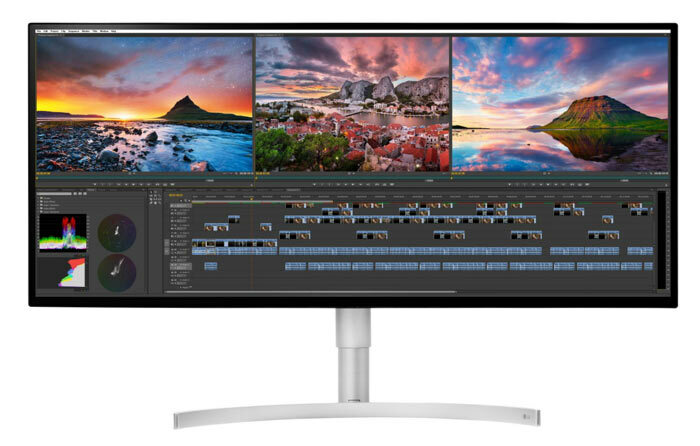 LG says that the 34WK95U connects via Thunderbolt 3 to display 5K resolution images at 60Hz with a single cable. Again the Edge-ArcLine Stand, and 4-Side Edge Borderless Design are utilised. Here is an attractive sounding new gaming monitor from LG. If you are an Nvidia GPU user you will appreciate its built-in G-Sync technology. The 34GK950G has a 34-inch screen, again using the new Nano IPS technology, and it offers a QHD resolution. LG has HDR certification it has gained. Expect more details of the above, and we would hope to find out availability dates and pricing, early next year. Dang… now, only if that Ultrawide was 38"
2018 but still no 2160P Ultrawide Oled 120hz Gsync HDR Monitor with RGB!